Autism, a development disorder which affects at least one among 68 children in the world, has been one of the least understood problems. It is the third most common developmental disorder. 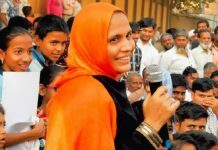 In India, at least 18 million people are affected by Autism Spectrum Disorder. Lack of awareness and absence of early intervention, compounded by poverty, illiteracy and low income, have made the situation worse. The Special Child Trust launched the Autism Centre for Excellence in 2014 to create a programme for children on the Autism Spectrum from ages ranging from 3 to 15 years. The programme is data-driven and is based on the principles of Applied Behaviour Analysis (ABA). Some children, unaware of the fact that they have developmental disorder have managed to find their path to happiness and success in their life. This has been possible because ACE believes, and quite justifiably, that individuals of varying abilities can be taught functional skills and communication to lead independent, productive, and rewarding lives as adults. ACE utilises research and standardised educational practices to improve the outcome for children with moderate-to-severe autism. 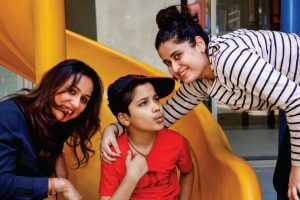 Dr. Archana Nayar, Director, Autism Centre for Excellence, in conversation with Archana Sinha, reveals the facts about autism and what can be done to integrate these children into mainstream society. 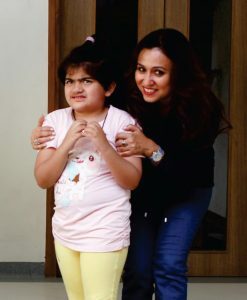 Autism is a behavioural problem in which the affected person suffers from various behavioural issues and is unable to make meaningful, social connect. However, it is very less understood. Can you tell us something about autism and why it affects a child? A development disorder, autism affects language, communication and socialisation, with symptoms such as lack of eye contact and communicative babbling; with its first symptoms after the age of six months. It is also referred to as Autism Spectrum Disorder (ASD), wherein the ‘spectrum’ refers to a range of conditions that are characterised by various permutations or combinations of behavioural and communicative challenges. Thus, there are varying degrees of autism that can affect an individual. Other syndromes such as Asperger’s, Pervasive Developmental Disorder and Childhood Disintegrative Disorder, also fall on the autism spectrum. Why it affects an individual is still somewhat of a mystery. It could be due to a number of reasons rather than just one, including environmental, biological and genetic factors. There is very little intervention for these children in India. How can the country cope with numerous children requiring to be brought under the social system, but cannot, due to lack of adequate institutions, support system and very high monetary requirement, which only a few parents can afford? The key to controlling autism in individuals is early intervention, and for this, awareness is key. Parents need to know what symptoms to watch out for, and the earlier caught, the better. Unfortunately, there are not enough affordable institutions available to educate these children. 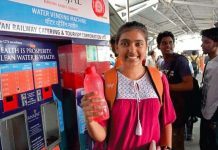 I was personally frustrated with the lack of facilities available, which is one of the main reasons why ACE came about. 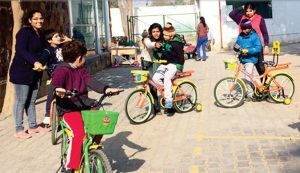 It was set up in Gurgaon in February 2014 with three classrooms, eight children in each class and 20 teachers on board. One of the most difficult parts of such initiatives is recruitment. Despite the prevalent talent and inclination towards doing something honourable, there is a desire to lead a comfortable life, which means that there has to be money. We have tried to create a structure where our teachers will be paid for their work. There are, however, certain habits that one can ensure at home to make life easier for these children and their families. Consistency, for example, is always a major help. For these families, again, I stress on the importance of autism awareness. How many children are you catering in one academic session and how much have you been able to bring into the mainstream? We are currently catering to thirty students, and eventually hope to expand while maintaining our core principle of personalised attention. Mainstreaming them into society is not purely academic, as far as children with autism are concerned. It has to be done on multiple levels, i.e., socially, which would involve autistic individuals being able to participate in everyday activities. They should be able to go to the mall, to airports, attend functions without any difficulty or judgments. On an academic level, we strive to hone their communication and vocational skills to make them as sustainable as possible on their own. What are the remedies undertaken for those suffering from extreme cases of autism? It must be understood that there is no concrete cure for autism; what we try to do is reverse the inability to communicate and acclimatise the individual to their surroundings, which accordingly affects their social behaviour. Therapy improves speech, language and communication, and helps an autistic individual adjust to his/her surroundings. The earlier the treatment starts, the higher are its chances of success. How do you help these children connect with mainstream society? To get somewhere in helping these children, we need to work towards making our society more inclusive. Here, inclusion does not mean kindness or sympathy, but rather equal treatment for disabled children and mainstream children. Whether it is love and affection, or scolding and reprimanding, treatment should be the same. The same opportunities must be provided for both. For this inclusion to become a reality, I believe we need to increase the community’s awareness about autism. This is what we at ACE try to take initiatives through unique and engaging ways. What kind of guidance do you offer to the parents? One of the most important forms of support that we are able to give parents is a sense of community in the entire student-parent body and security in an education programme that is entirely focused towards the needs and capacity of children with autism. Our unique 1:1 teacher-student ratio allows for individualised attention, tailor-made to each child’s unique requirements which allows us to understand where his or her strengths lie. We also train parents to work with autistic children in home settings, direct them towards various therapies available that could be beneficial for them and their children. More importantly, we also encourage them to reach out to other parents who are facing the same challenges, giving them a sense of community. Please share some details about your training centre for teachers. It is a graduate programme that we offer in partnership with a local Indian university and affiliated with an American university. The training we offer teachers equips them with specialised skills in this field which will go on to help them academically, professionally and financially. It is an important incentive that we offer our recruits in an already difficult hiring scenario. Thus, while they are making an impact in the lives of our students and garnering practical experience in doing so, we are also giving them the benefit of a strong theoretical and academic background. Do you also assist these children find meaningful occupation and become engaged in economically-productive activities? Most people with autism require structure and consistency. Autistic individuals often have a good long- term working memory. They find regularity in repetitive and conducive tasks, and can be trained in these tasks to sustain themselves economically. It is important for the job or task at hand to have a well-defined endpoint. We have in fact set up a café where our students can be trained. We are hopeful that one day, it will be operated by our alumnus. Some of these children are born in nuclear families where they have to fend for themselves. How do you prepare a child towards that since they are extremely vulnerable to social and economic abuse and can fall prey to anti-social elements in the society? I would recommend an adult residential programme where individuals affected by autism reside in a group home overseen by a therapist. While we do train our students towards independence and honing their vocational and life skills in the hopes of making them as sustainable as possible, the sad reality is that they might always need some sort of experienced adult supervision. Some of these children are non-verbal thereby unable to express their feelings if some unpleasant thing is being carried out against them. How do you help them protect themselves or express their fear, anxiety, etc? While verbal communication may be problematic for children affected by autism, they do communicate via sign language and picture exchange. While such methods may not allow them to express completely, the little results arising from such methods are far better than no communication or expression at all. I have found through personal experience that some autistic individuals are very eloquent in their picture exchanges. 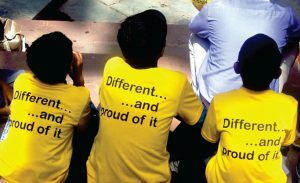 What advice would you like to share to make people more aware and sensitive towards these mentally challenged children? The one thing that can increase awareness and sensitivity is increased exposure of the society to individuals affected by autism, and vice-versa. This exposure is imperative and accounts for shifting consciousness. Though a subtle change, it is this shifting consciousness that makes society more welcoming towards these children. 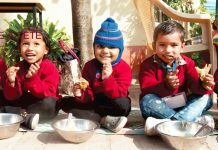 Our efforts cater to a small group, but I am hoping that soon there will be more people coming forward to open units in their areas, cities and villages to offer these children individualised education in the direction of self reliance and independence so that they can live life well. ACE aims to create long-term intervention strategies in a child’s life from the early years into adulthood so as to understand each child’s strengths and capabilities. It also seeks to maximise learning by providing a consistent and safe environment. The programme has been created as a seamless environment between teachers, parents, and care givers so that skills can be rapidly learnt and applied in real life. 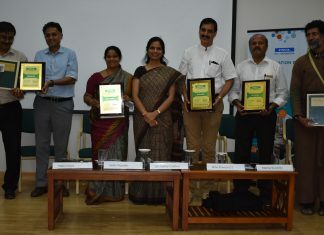 ACE is a standardised model of teaching and intervention for autism, which, overtime, can be replicated across schools and communities in India. ACE has been conceptualised in collaboration with Boston-based New England Center for Children (www.necc.org), which has four decades of experience in transforming the lives of children with autism through education, research, and technology. 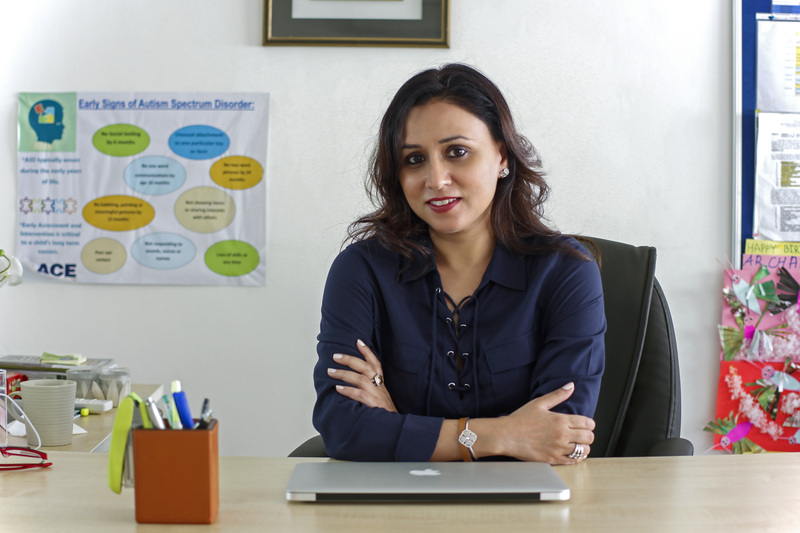 The programme at ACE, a first of its kind in India, is completely data driven and based on the principles of Applied Behavior Analysis (ABA), with an approach of a 1:1 student-teacher ratio.